An early spring day-flying moth commonly seen flying around Birch trees in warm sunny weather. 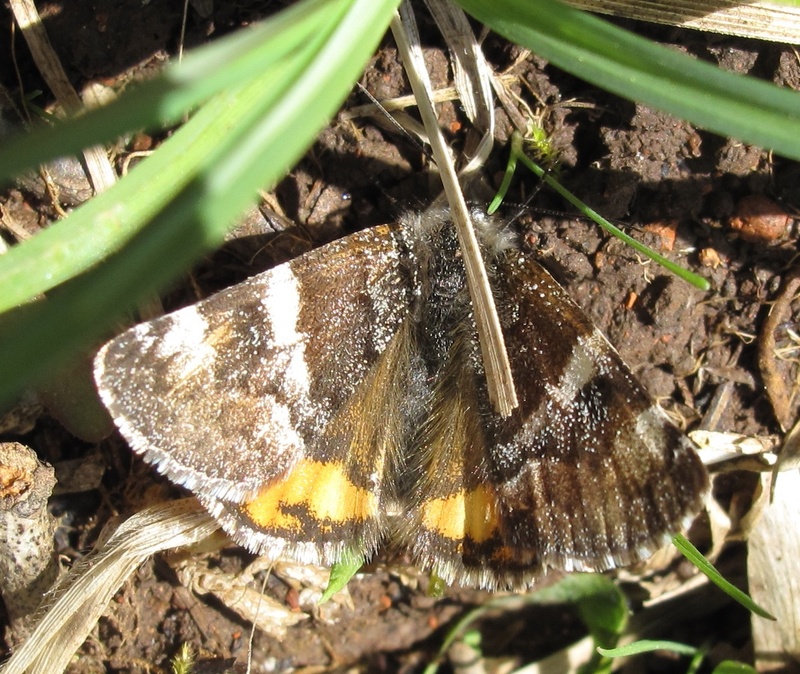 In flight the orange on the underwing is very noticeable, but when perched, for instance when nectaring on Primroses, can be seen to have variegated chocolate brown forewings and black and orange underwings. In flight can resemble Vapourer Moth, but is out at a completely different season. Woodland and more open country where there are birches. Resident, widespread and locally frequent.